Join us every month at the All My Relations Gallery for an evening of new, classic, or eclectic stories, plays, and events from the minds of Native artists! 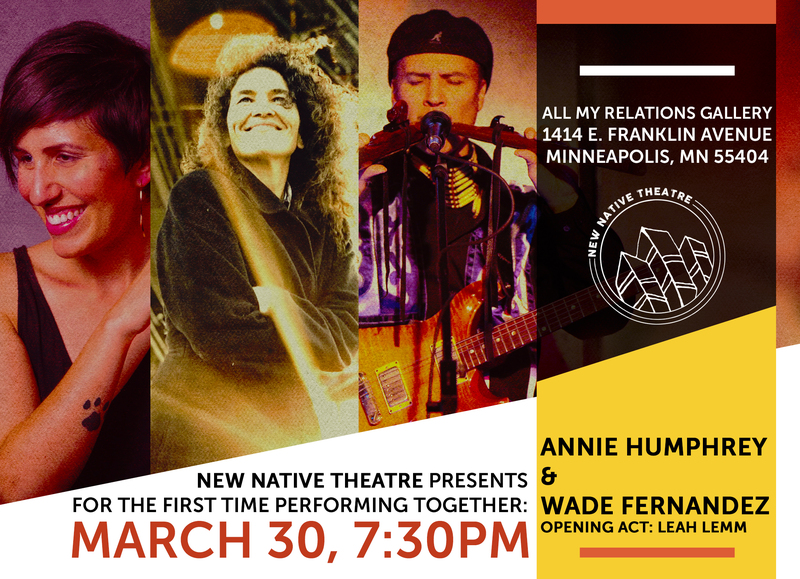 Annie Humphrey & Wade Fernandez just wrote their first single, The Bottom Line and are working on an upcoming album and tour together. Annie and Wade are NAMMY winners of Best Female Artist and Best Male Artist. This will be their debut as a duo! Opening act is Leah Lemm performing new songs from her upcoming album. 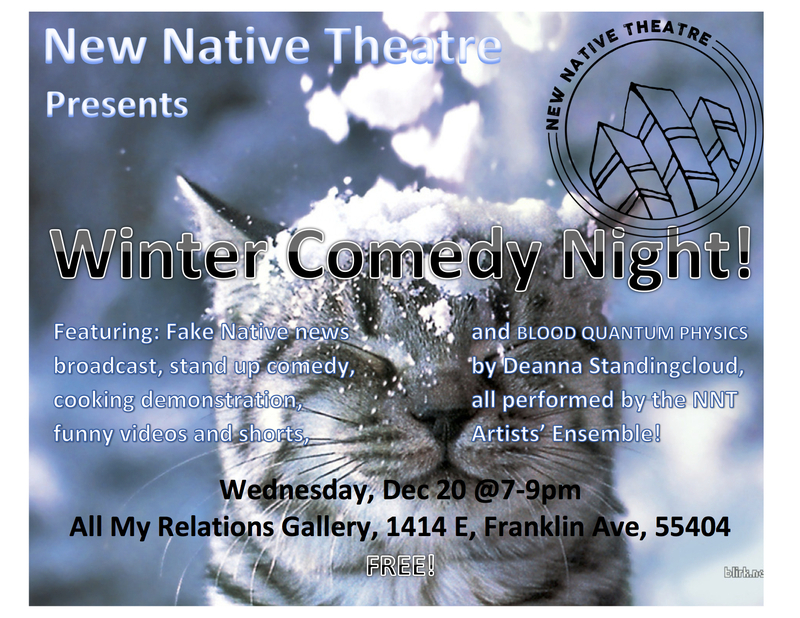 Tickets are Pay-What-You-Can at the door or tickets can be purchased ahead of time at BrownPaperTickets.org. Limited number of tickets are available. December – Winter Comedy Night! 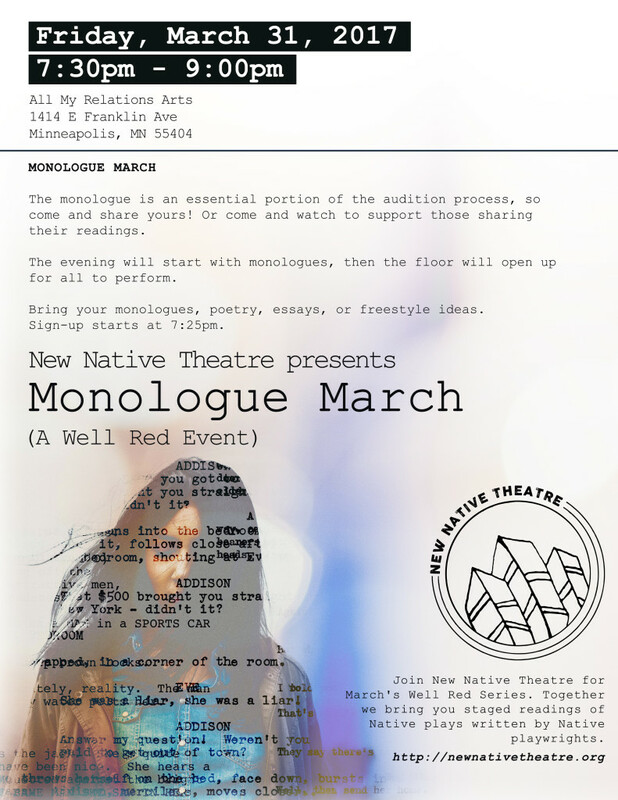 Join us for a public reading of Dine’ playwright, Blossom Johnson’s new play, Amasani that details the journey of a young Navajo woman into the adult world. 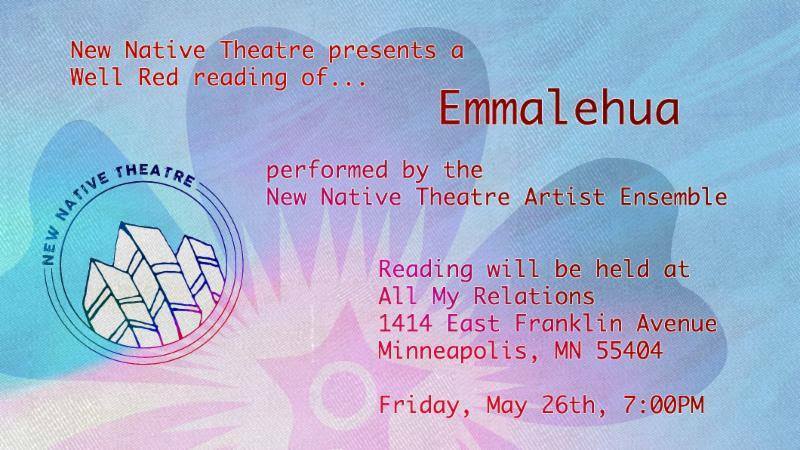 We continue our celebration of Hawaii’s indigenous people with a reading of Victoria Nalani Kneubuhl’s classic play. 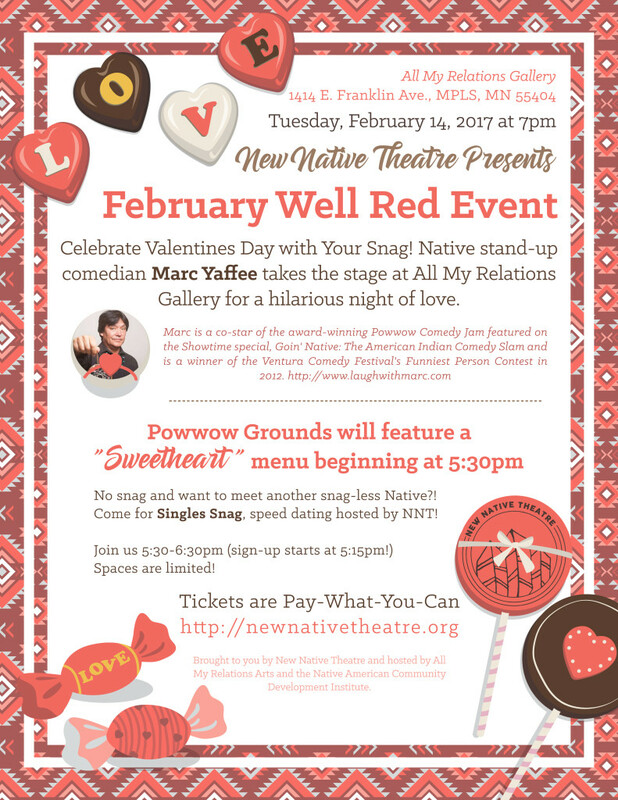 February – Comedian, Marc Yaffee!